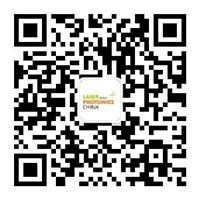 LASER SENTINEL-SLS-B5 Equipment Datalogic (Shenzhen) Industry Automation Co., Ltd.
Picolo.net Video Servers Equipment Euresys S.A.
LiNbO3 phase modulator Applications Wuhan HTX photonics Co.,Ltd. MX-5050 Android mobile data terminal Equipment Mexxen Technology (Shanghai) Inc.
GX-62 embedded industrial 2D scanning module Equipment Mexxen Technology (Shanghai) Inc.
GX-80 industrial 2D barcode scanner Equipment Mexxen Technology (Shanghai) Inc.
DM3200S laser cutting smoke dust odor purification equipment Equipment Suzhou Dejiamei Enviromental Protection Technology Co.Ltd. OUTDOOR.CASES Equipment B&W (JIAXING) CO., LTD.